Fostering Low-Carbon Healthcare in Europe is a six month pilot project initiated by HCWH Europe, working with six hospital partners across Europe to identify opportunities for further engagement on climate related issues, including the specific issue of anaesthetic gases. 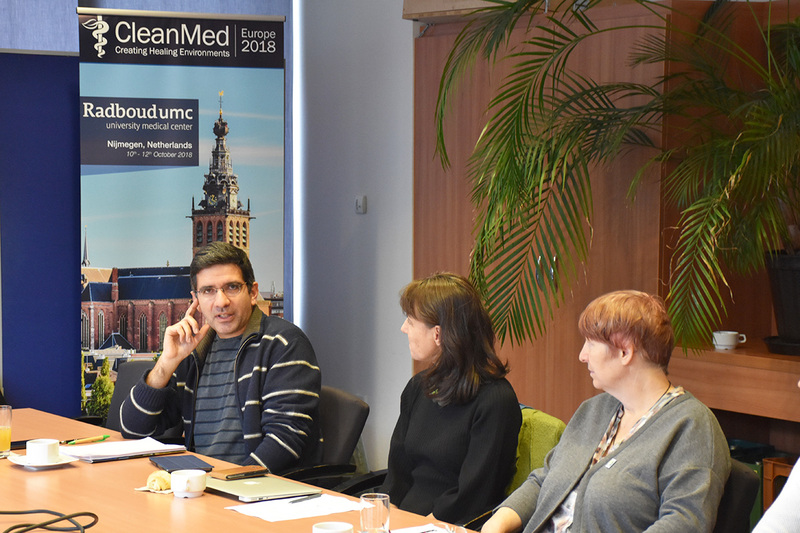 On the 8th and 9th March 2018, Vivantes Klinikum Neukölln hosted a two-day roundtable meeting for participants to close the pilot project. The meeting was opened with a welcome to Vivantes Klinikum Neukölln from the hospital’s CEO Christian Dreißigacker, who expressed great pride in the hospital’s involvement in this project. Didier Bourdon presented APHP, and their work on monitoring energy consumption and greenhouse gas (GHG) emissions. 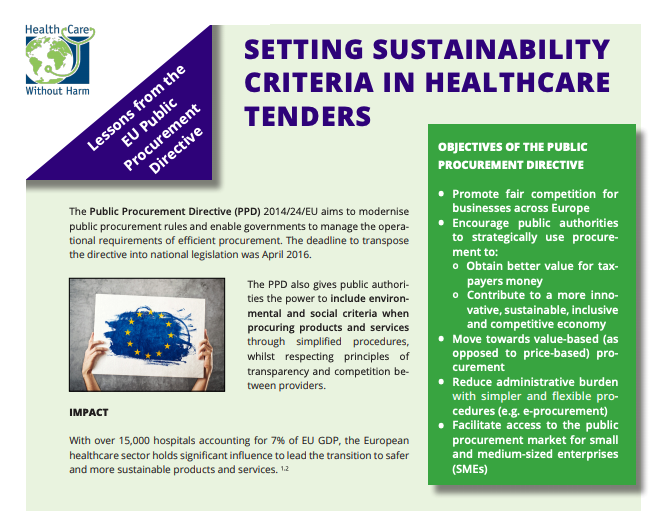 Procurement represents over 30% of their GHG emissions and the largest areas of procurement are drugs and anaesthetic gases, medical devices, and food. Reducing GHG emissions from medical devices is a priority for APHP; they have identified the top medical devices used and their carbon intensity. An analysis of one hospital showed that it uses 52,000 tonnes of CO2e/year - 5 times the weight of the Eiffel tower. Stressing the importance of integrating low carbon into the clinical setting, Didier remarked that it’s excellent to come up with areas of work that we can engage with clinicians - which this project does with anaesthetists – it’s very important to engage with the practitioners on environmental impacts. 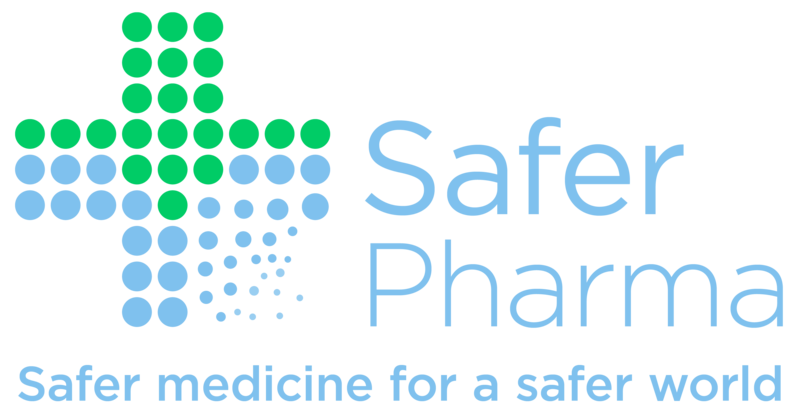 APHP will assess anaesthetic use, not initially setting a target. They will diffuse the learning outcomes of this project across their hospitals network - they have also discovered that other hospital groups are beginning to work on this issue. Jens Dahlsköld presented the Karolinska University Hospital, which has a target to reduce the carbon footprint from gas anaesthesia by 20% per surgery by 2021. 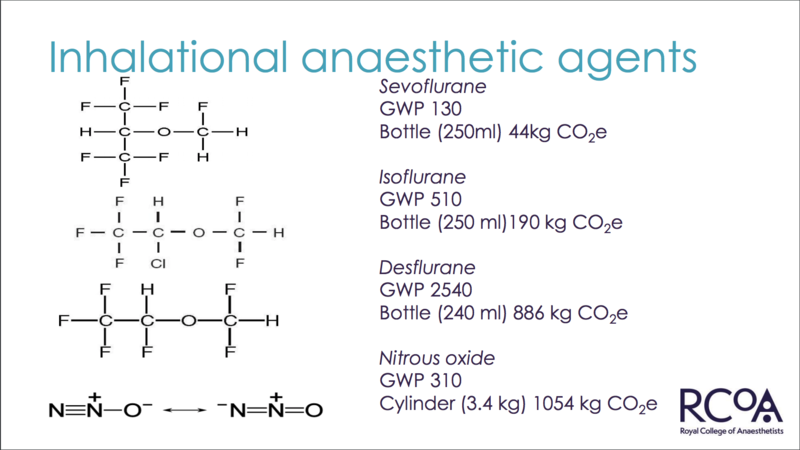 Going forward they see a need for a life cycle assessment of intravenous (IV) anaesthesia compared with gas anaesthesia to determine which has the greater environmental impact – this comparison would be useful to make informed anaesthesia choices without compromising patient safety. The atmospheric impact of gases and agents used in inhalational anaesthesia can easily be measured by measuring use, because 100% will eventually be exhaled. Measuring the impact of intravenous is more difficult because of single-used disposal products and patients metabolise the drugs and agents used. Jens also noted that it’s a challenge to verify if hospitals are comparing the same data when benchmarking e.g. how do we define “per bed” or “per procedure” and are we measuring this data in the same way? One suggestion was to focus on specific procedures in future for a clearer comparison. Karolinska widely use closed circuit anaesthesia (CCA), generally using 0.2L of fresh flow (minimum setting) - this is not an official recommendation (though potentially could become official). By comparison, Vivantes Klinikum Neukölln use 0.5L-1.0L. Karolinska University Hospital employs a gas capture method for nitrous oxide, this raised the issue of technical innovations for gas capture including methods that employ filters – capture methods are not commonly used amongst the other hospitals and is an area of further research. It was highlighted although such methods exist, for various reasons not all gas is captured and destroyed e.g. an obstetrics patient may remove their mask for better comfort. Jens commented that The Council of Stockholm Hospitals conducted a Life Cycle Assessment (LCA) of one filter method, showing that the CO2e emissions of production and transport of the filters exceeded the captured emissions from anaesthesia. Another comment from the group was that LCAs would ideally go beyond just the carbon footprint and widen the scope to include other environmental impacts e.g. 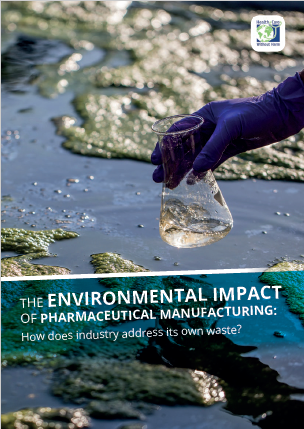 the plastics used and the impact of drugs in the water supply. 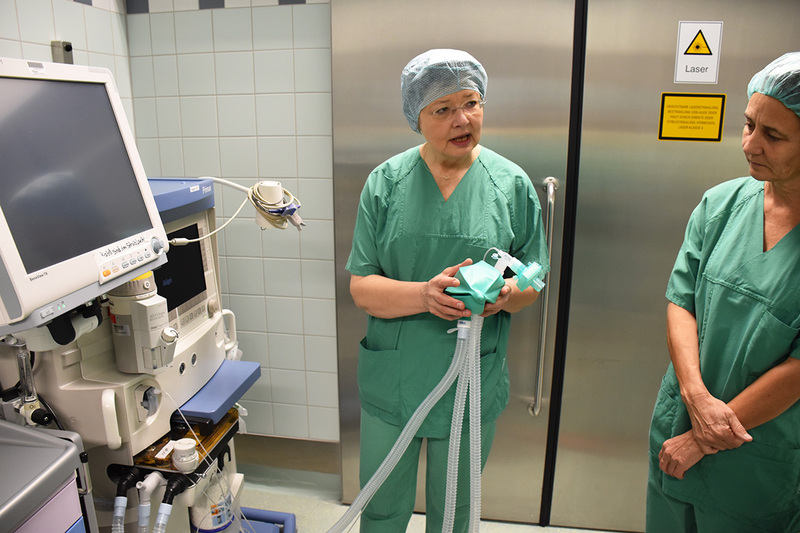 Karolinska’s guidelines on anaesthesia practice have been translated from Swedish and disseminated amongst the group to see if they are useful for other hospitals. The basic principle of CCA is to recycle some of gases used, therefore using less fresh flow – when used appropriately to the length of procedure this does not endanger patients. In fact, there can be clinical benefits when using CCA, such as reduced dehydration and heat loss; modern anaesthesia machines are necessary to carry out CCA effectively. The group discussed that if international guidelines for CCA (or any anaesthesia practice for that matter) were produced, they would have to come from the independent, scientific committees and/or anaesthetists’ societies to be accepted and adhered to by anaesthetists. Melanie Waitz reported on the work of Vivantes in 2017 - their focus was primarily on energy consumption and the hospital has been certified twice as an energy saving hospital by BUND Berlin (savings of 40% over 10 years). 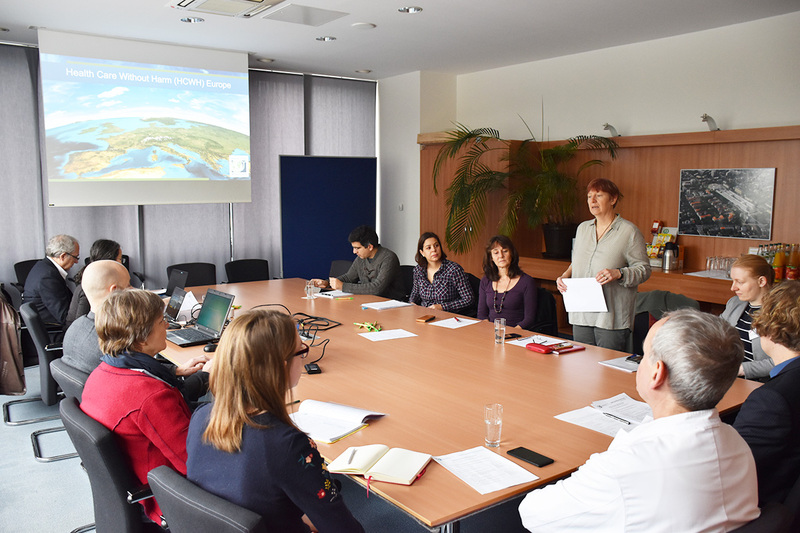 They are currently work on their own action plan – Green and Healthy Neukölln which is based on the programmatic goals of Global Green and Healthy Hospitals (GGHH) – a worldwide project of Health Care Without Harm. 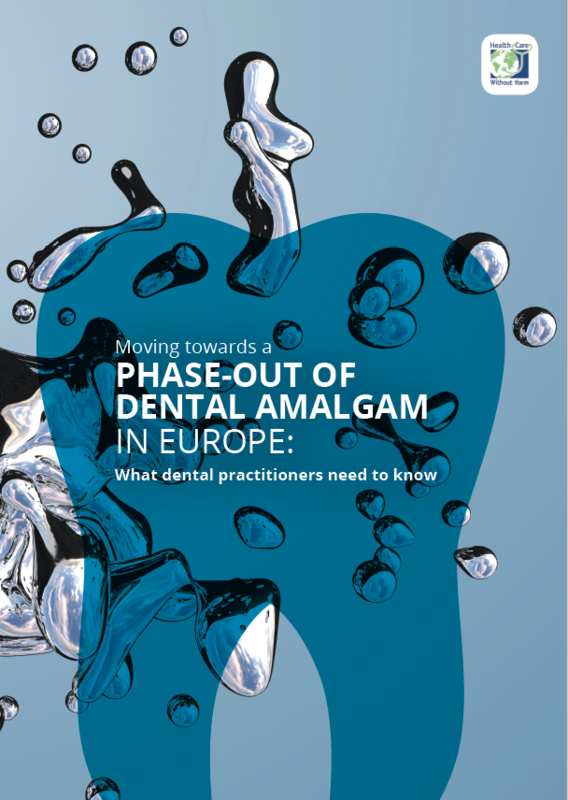 By participating in this project, Vivantes Klinikum Neukölln have found a new perspective by comparing and discussing with staff, experts and participants, and have a greater sensitivity to anaesthesia use – previously there was no focus on the ecological consequences of anaesthetic procedures. Anaesthetists at Vivantes Klinkum Neukölln commented that switching the gas could incur costs if machines need to be changed or updated along with the associated maintenance costs. The cost of changing practice, therefore, should be considered. They also expressed interest in training their 80 anaesthetists and raising the awareness of environmental impacts of anaesthesia components; they stressed that more in depth analyses of their practice would be beneficial. Mónica Martín Decorpas opened her presentation with the strategic priority for Sanitas: Healthier, longer, and happier lives for 250m people in 2020, which includes a target of 30% reduction in CO2 emissions by 2020 (compared to 2009). A Global Green and Healthy Hospitals (GGHH) member, Sanitas La Moraleja University holds many certifications including ISO 14064 energy management and ISO 50001 carbon footprint. Monica shared that La Moraleja University Hospital have been measuring their carbon footprint (scope 1 and 2) and anaesthetic gases since 2013, approximately 30% of their carbon footprint comes from anaesthetic gases, predominantly N2O. Tiago Fernandes concluded the morning session with his presentation; he opened by remarking that he was attracted to the Fostering Low-Carbon Healthcare in Europe project by the potential use of technology and innovation in anaesthesia practices, and by learning from other participants’ experiences as well as sharing his own. Comparing the Pedro Hispano Hospital with the other participating hospitals has allowed Tiago to look at his hospital with a new perspective and has inspired him to pursue this topic further through such actions as initiating a Working Group on Sustainability within the Portuguese Society of Anaesthesiology as well as contacting the European Society of Anaesthesiology. As the Pedro Hispano Hospital looks to procuring new anaesthesia machines in the near future, it is good timing to implement learning outcomes of this project - to consider the agents and gases used, and the compatibility of closed circuit anaesthesia (CCA) when making purchasing decisions for new machines. Tiago commented that following this meeting, he will work on the local “carbon footprint hotspots”, raise the issues discussed at department meetings, and start a sustainability group at Hospital Pedro Hispano (as well exploring the sustainability group of the national anaesthesiology society of Portugal). Returning from a vegan, organic, and locally sourced lunch, the afternoon was spent discussing and amending the project’s closing presentation and guidelines, as well as making minor adjustments to the project’s key messages for anaesthetists to make the messaging more effective. Looking forward to disseminating the outcomes of this pilot project, the group suggested changes to some visuals created by HCWH Europe for the project (see below) and proposed ideas for a pocket-guide for anaesthetists that could summarise some of the project’s key messages on reducing inhalational anaesthesia’s CO2e emissions and contribution to climate change. Another idea for communicating the project was a set of presentation slides that could be made available to the pilot project hospitals so they could share the project learnings and messages with colleagues and contacts. This communication tool could also be used to reach out to anaesthesia societies with different levels of engagement i.e. national, regional, or international, and being sensitive to the audience e.g. The European Society of Anaesthesiology (ESA) is more research-led. The group also noted there is a sustainability group recently founded within the ESA. Looking further forward, participants also discussed some technical innovations and improvements to anaesthesia machines they would like to see in future, such as an alarm/feedback mechanism for the duration of high flow, or an indication showing the amount of gas used. 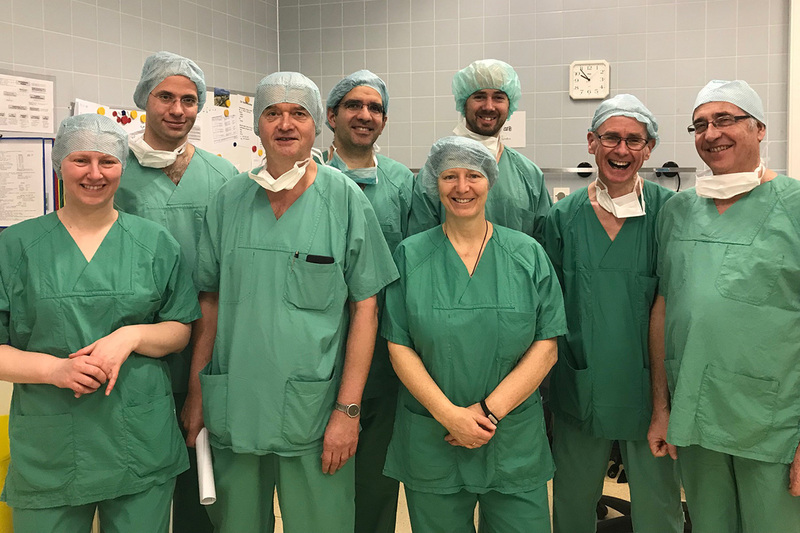 The second day of meetings began with a tour of the central OR and ophthalmology departments guided by anaesthetic staff of Vivantes Klinikum Neukölln. Having discussed anaesthetic practices in detail the day before, this tour gave participants the opportunity to contextualise what they had learnt. 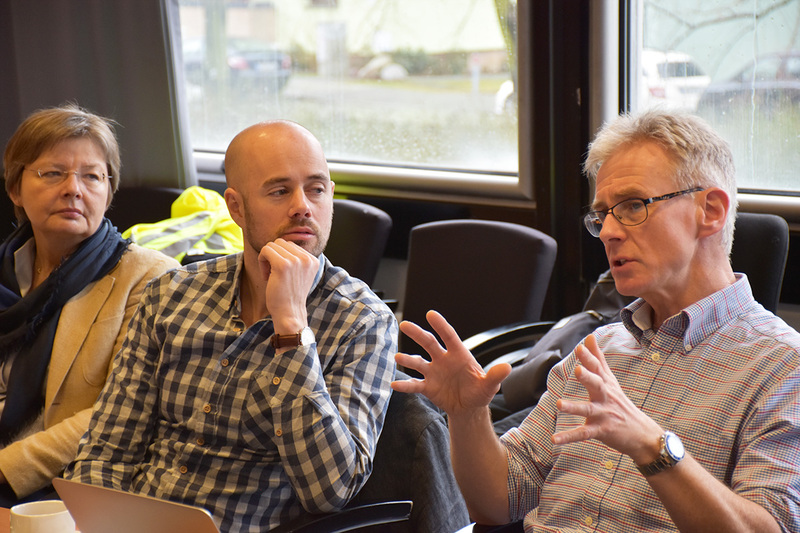 Following the tour, participants were joined by representatives from EUKI and BMUB who came to learn more about the topic of emissions from anaesthesia and the learning from the pilot project they had funded. Anja Leetz, Executive Director of HCWH Europe opened the session by introducing the organisational history of HCWH Europe and the growing motivation to work on climate and energy within the healthcare sector. For a more specific overview of anaesthesia, Dr. Tom Pierce, Sustainability Advisor from the Royal College of Anaesthetists, UK (RCoA), presented the atmospheric science that explains the environmental impact. Closing his presentation , Dr. Pierce showcased the Anaesthetic Impact Calculator, an innovative tool he has helped produce with RCoA, which helps anaesthetists include environmental considerations in their clinical decisions. He also showed clinical standards within the UK and discussed the role of medical curricula for future anaesthetists. A recorded version of Dr. Pierce's presentation is available on the HCWH Europe website here. Project Leader and Analyst Imogen Tennison then presented the pilot project, integrating the discussions and contributions from the day before. In addition to highlights from the participating hospitals, the collected anaesthetic data was also presented and analysed to show the potential CO2e savings across the participating hospitals, and what scaling up across Europe could look like. Representing EUKI, Benjamin Struss commented on the good work already shown by participants in this pilot project and stressed that data-driven case studies are invaluable for motivation. Steffi Richter from BMUB commented that she was impressed by the complexity of this project as well as the variety of interesting case studies and ideas on how to further disseminate and implement the learning outcomes. A closing analogy was offered - vehicle tailpipes are closely regulated for their emissions and there are legal requirements for filters and legal limits, why couldn’t there be similar regulation for anaesthetic gases? Anaesthetists agreed such regulation could exist without affecting patient safety – perhaps a concern that is blocking such legislation. 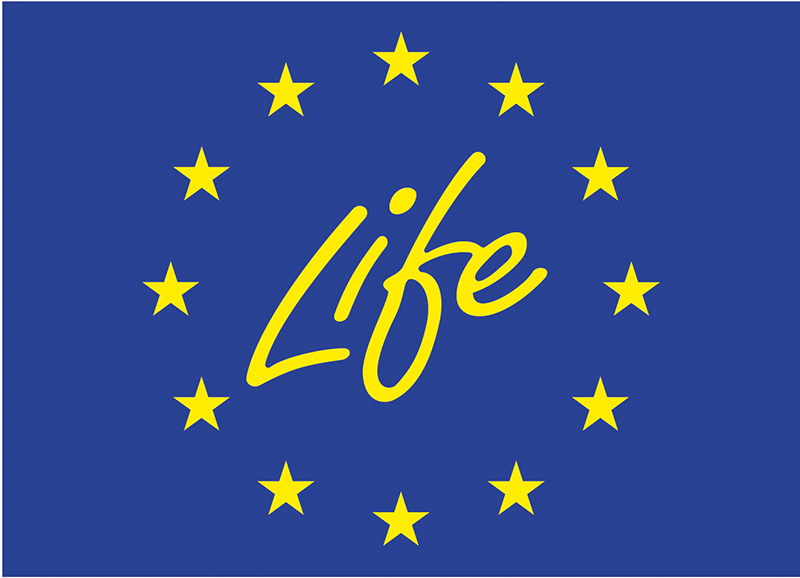 HCWH Europe is solely responsible for the content of this presentation and related materials - the views expressed do not reflect the official views of the European Commission, EUKI, or BMUB.